Decorated in silver in the workshop of Georg Funke. 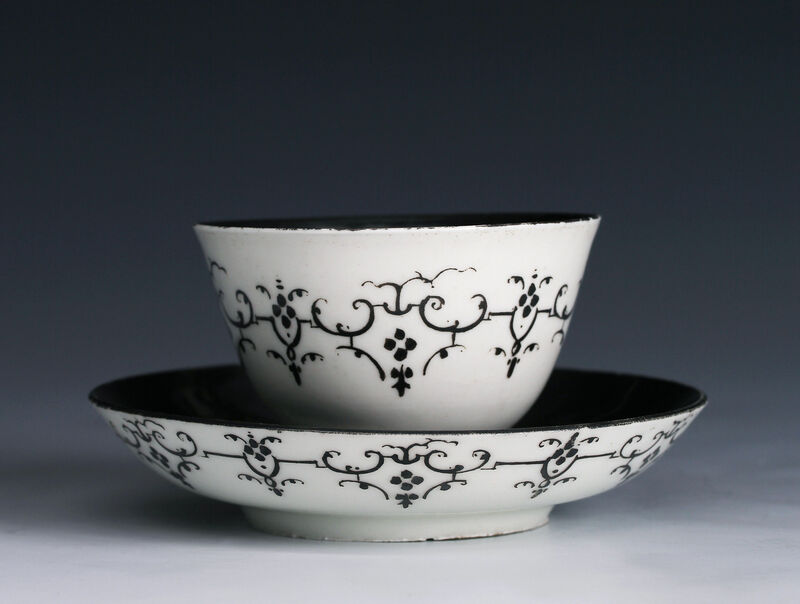 The reverse of the saucer and exterior of the teabowl with baroque scroll bands with a distinctive asymmetrical flourish. The silver has oxidised to a deep black. 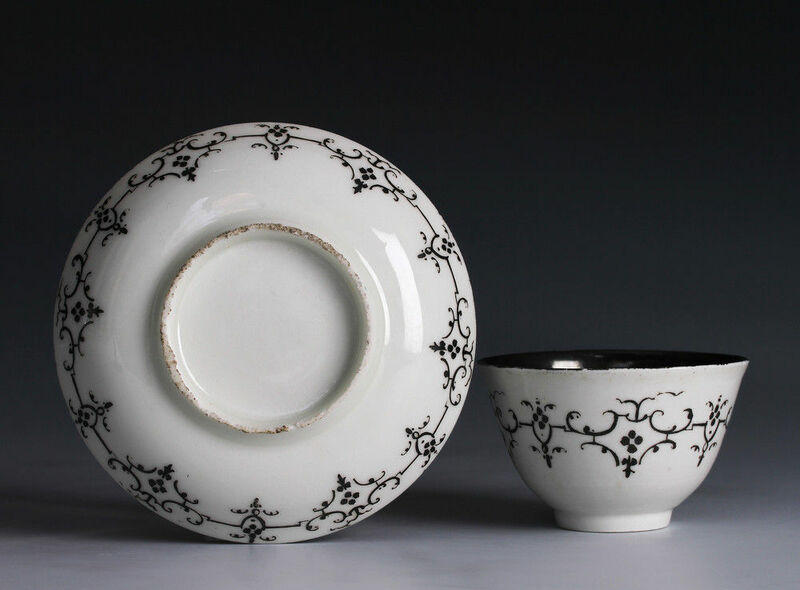 At the earliest period of porcelain production the Meissen factory appears to have had considerable difficulty in decorating its wares and much of this work was subcontracted to the Dresden goldsmith Georg Funke. 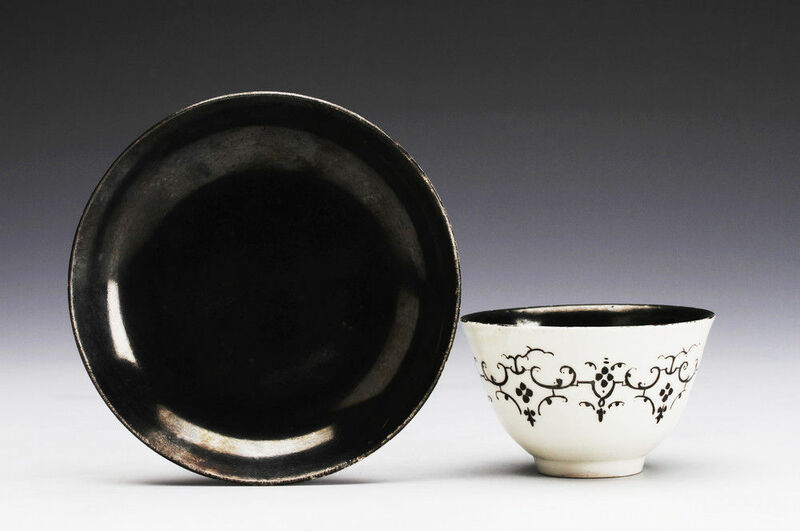 Whilst no other examples of precisely this pattern seem to be recorded, closely related examples of these very rare wares can be seen in the collection of the Porzellansammlung in the Zwinger. Condition – Minute chip to rim of bowl.